If you are looking for me today, you can find me on Twitter! I am taking part of Blog Boycott Day which takes place on the 2nd Friday of every month! If you want the details, check out A Belle A Bean & A Chicago Dog for the details! Just to drop some hints – next week is going to be AWESOME!!! Some big things coming up! Previous postGluten-Free Halloween Candy List! Next postHow big are your dreams? Oh, I like this idea. Wait! am I not supposed to comment?! Help! Congrats on your SITS day. You truly are an amazing woman. i love reading your blog. I’m following you. I hope you have time to visit my blog. Have a great day!! 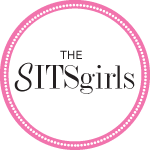 Congratulations on your Sits day…enjoy the love, you deserve it. I love when I am inspired by women who show their love and faith. I so love your blog. First off, I love the lay-out. It’s neat and cute. Everytime I find blogs like yours, I’m reminded to arrange my blog lol. You are a woman of strong faith and are very blessed to have a supportive and loving husband. I’m sure gonna visit often! …and I’m also a sister in faith! =) glad to find you!